This year, Cadbury is searching for the next pet to be featured in a CADBURY Bunny Commercial this Easter. Think you pet could fit? Visit bunnytryouts.cadburyusa.com and enter the Bunny Tryouts Contest and you could also win a check for $5,000. commercial. 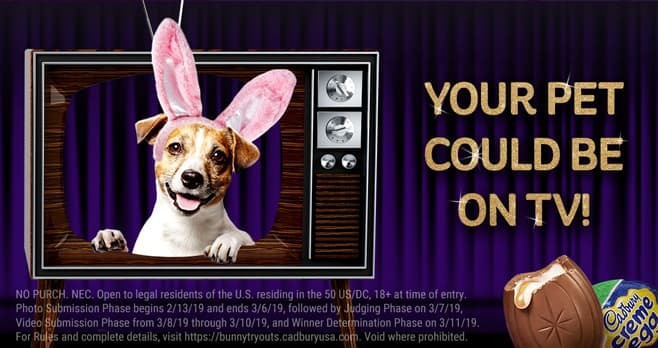 Visit bunnytryouts.cadburyusa.com to enter and see Official Rules for details.